Luther Unit is a medium security prison located in Navasota Texas, part of Grimes County. The facility is a mixed custody (G1, G2, and G3) institution that houses approximately 1,326 male inmates, 1,102 of which reside in the unit, the additional 214 offenders are housed in the Trusty Camp. The facility is situated on 7,003 acres of land it shares with Pack Unit. Luther Unit is comprised of thirty single cell housing units, twenty two open bay dormitories, four multiple occupancy cells, and thirty segregation cells that are utilized for administrative segregation and disciplinary purposes. Inmates incarcerated at the Luther Unit range in age from eighteen to their eighties, and have an average sentence of 19.3 years. Luther Unit provides educational programs that teach literacy, adult basic education and prepare offenders for release in the CHANGES program. Additional education provided to offenders at Luther Unit includes vocational training in welding, electrical wiring, and automotive brake specialist. Some inmates may qualify for work opportunities within the institution which include providing facility maintenance services, working in an agricultural operation that produces cows/calf, edible crops, swine and buffalo. Inmates may also be eligible to work caring for security horses and canines, and in the on site stainless steel plant that manufactures a variety of products. 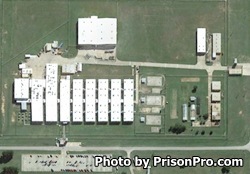 Inmates located at the Luther Unit in Texas are allowed visits on the weekends (Saturdays and Sundays) from 8am to 5pm. Offenders are limited to one visit per weekend. Visits are two hours in duration unless the visiting room becomes crowded or some other facility issue arises (such as a lockdown). Visitors may bring a small Ziploc bag containing up to twenty dollars in quarters to use in the vending machines during their visit, at no time may the inmate touch or have any of the money.